Most of us have been to the zoo, aquarium, or even the circus before. It’s a part of being a child and wanting to see all the cool animals on display, and being able to see them in person. It is an amazing experience to see a massive orca jump out of the water and splash the audience, or watch a gentle elephant walking 5 feet away from you. But do we ever stop to think about what the animals went through to learn how to do 360s in the air or jump through flaming hoops? Of course, it is not a bad thing to want to see these amazing creatures; after all, it’s human nature to be curious. So what then is the problem? The problem is that these animals are usually taken from the wild and forced into captivity. Wanda, the first orca ever captured from the wild, died the same day she was captured from bashing her head on the walls of the tank due to the stress of the ordeal. In the wild, orcas can live up to 80 years old, while the average life span of orcas in captivity is around 13 years. Not only are animals ripped away from their natural habitats, many are forced to present unnatural performances. Oftentimes, the trainers use physical punishment to discipline the animals. 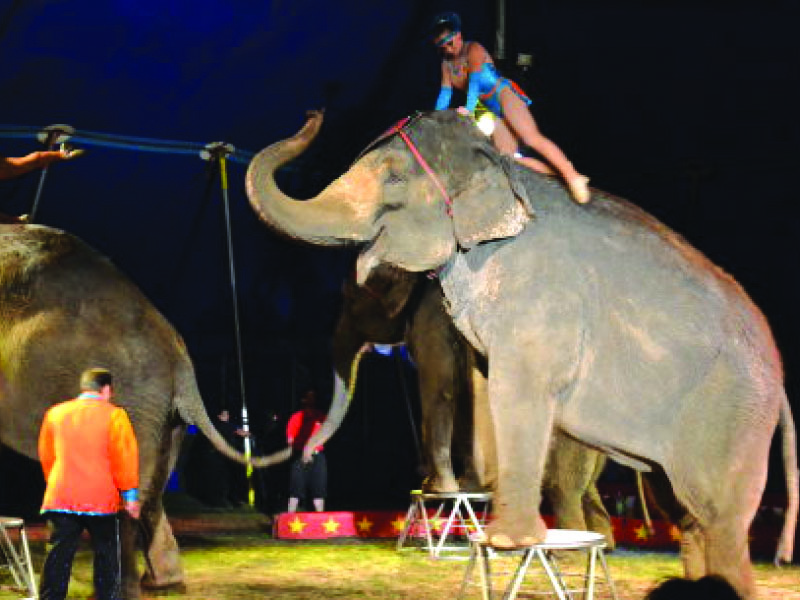 For example, elephants used in the circus are often whipped, or trainers use bull hooks, which are large hooks that grab onto the skin and rip through the skin. Trainers sometimes even deprive the animals of food, which often leads to starvation and eventually death. In many cases, the animals become severely depressed and their natural instincts and tendencies are suppressed.